Cloudflare, a distinguished company that operates in the field of online security, recently unveiled their new project: Warp. A free VPN that claims to be secure, clever and fast. This comes a year after their successful DNS resolver. Is this the game changer we were looking for? In 2018, Cloudflare introduced the now famous 1.1.1.1. This wanted to be a fast and secure alternative to Google’s DNS resolvers. After the launch, a lot of media outlets picked up the story, giving fantastic reviews to this new alternative. But what is a DNS resolver? You see, whenever you type “www.google.com” inside your browser, the website name gets translated into a sequence of numbers. This is because we, as humans, tend to remember more easily names than digits. The faster is the translation, the faster the page will load. 1.1.1.1 turned out to be not only fast and reliable, but also very safe! If you use Cloudflare’s DNS resolver, your IP address will be deleted in 24 hours. This is not the case when it comes to Google’s DNS or the one that your provider implements. It comes to no surprise, then, this natural new chapter. Warp might be the new kid on the block, but we reckon it’s not going to take too much time before it picks up a lot of traction. For starters, it’s free. What’s more, Cloudflare’s reputation gives them a distinct advantage against all those companies who give free VPN services, without mentioning their practice of selling your data to third parties. The other news outlets are commending Warp’s safeness and ability to circumvent geoblocking. But all that glitters is not gold. We don’t feel like confirming or denying the statement that the VPN is really secure. We will do it in our full review, which will come later this week. The practice of using a VPN to circumvent geoblocking is not new at all. Netflix, Hulu, the BBC iPlayer and many other media companies try to block all foreign traffic because of copyright issues. That created a massive difference in the availability of TV Series and Movies, especially if compared to the American counterpart. The problem with these free VPNs is that these companies block them as well. But how exactly do they block the traffic coming from these VPNs? If a thousand people connect to the same VPN and try to watch Netflix, they will see a thousand different devices connected with the same IP address. This, for them, is a dead giveaway that a VPN is operating. Thus, they block the IP so that you can’t connect to the service anymore. All the providers who ask for a subscription fee in order to use their VPN do so because it’s very expensive to come up with new IP addresses whenever one is blocked by a media company. What about Warp? Warp, will they go all in? So, does Cloudflare have the resources to keep up with the demand of new IP addresses and servers? If so, do they have the will to fight this war against them? Hard to tell. But one thing’s for sure. If today you’re able to connect to the American Netflix using Warp, it doesn’t mean that you will be able to do it in a week, or in a month. The only way to know for sure that your binge watching stays uninterrupted is to subscribe to one of the VPNs we reviewed. 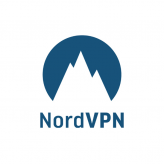 Our top choice, 5 Euro VPN, combines an outstanding level of security with extremely affordable prices. You can read the full review here. What do you think about Warp? Let us know in the comments!